The third LOL Surprise series has dropped and this time it’s LOL Surprise Pets. The 35+ series includes puppies, kitties, bunnies and the rare hamsters. There is still the seven surprises format that L.O.L lovers will be familiar with but not quite so many cellophane layers (but in a good way). There is a new way to uncover one of the surprises and the ball contains four wrapped items in the centre. The all-important secret message giving a clue to the pet’s identity is still there as is the collectable sticker sheet and the water bottle charm and accessory. My testers certainly liked the continuity of this and would have been disappointed if this had changed. The new twist is a little scooper, which can be used to search a sandpit – a sort of ‘litter box’ – for another surprise; an additional accessory. In this case a little tea cup. The litter box is filled with something similar to Kinetic Sand, which was a big hit this Christmas. The litter box lid can be used to stamp footprints into the sand. The girls really enjoyed this feature and loved the sand. The final surprise was of course the pet itself with its surprise feature/s. We got a bunny: Cottontail! 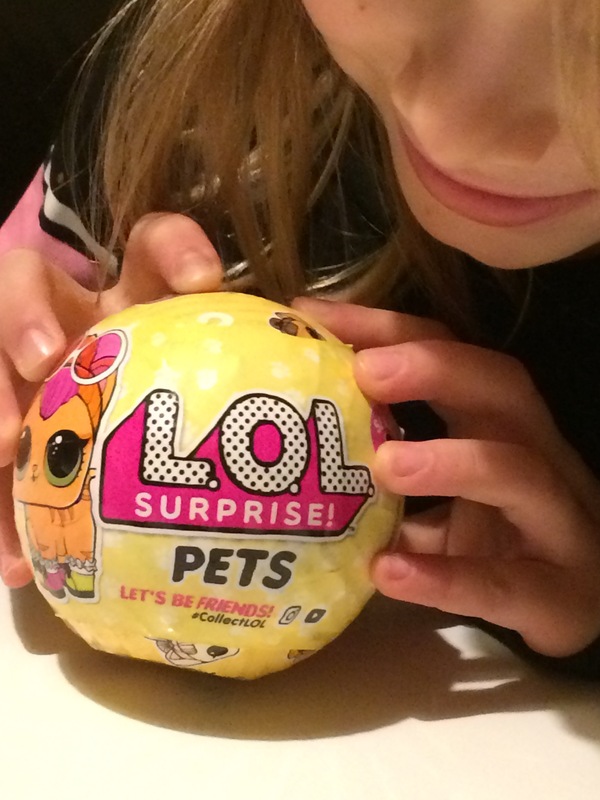 We liked the fact that you could mix and match the pets’ accessories with the LOL Surprise! 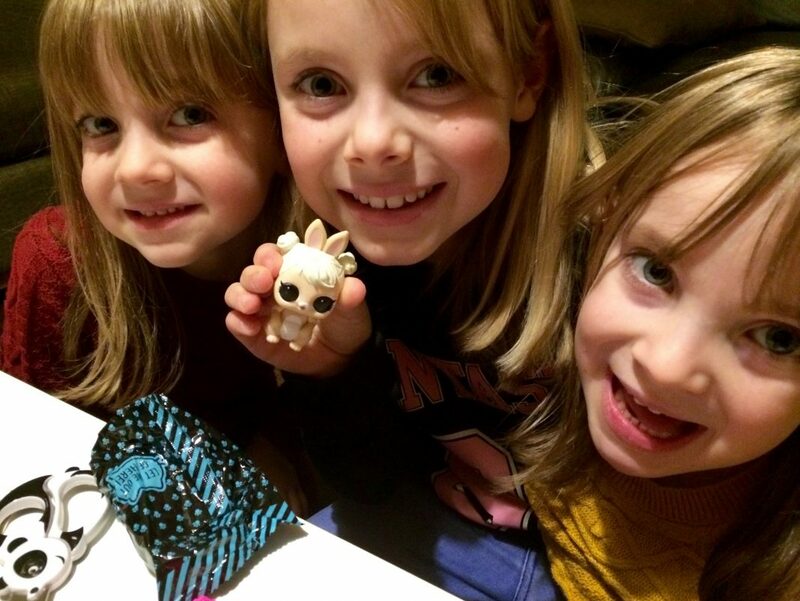 Dolls and LOL Surprise Lil Sisters. I started unwrapping my first L.O.L pet. There was the message in the first layer. I looked at the pictures. It had a fairy and a dog pointing at its tail, I knew it was fairy tale straight away! Second layer already, found the collectable stickers that you put under your pet on the collector sheet. You test what it does with water and you put the stickers on the sheet so you remember. Wow third layer, nothing in this one just to reveal the whole ball. Then I needed to open the ball! Wow, there was a kinetic sandpit and four surprise bags. I opened them all! I loved the sandpit and accessories. There was a little scooper in one of the surprise bags! You use it to dig out a little surprise in the kinetic sand.